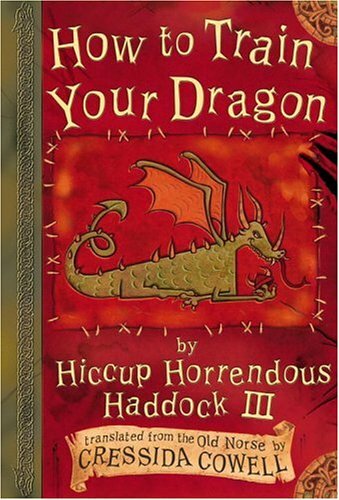 This book chronicles the adventures and misadventures of Hiccup Horrendous Haddock the Third as he tries to pass the important initiation test of his Viking clan, the Tribe of the Hairy Hooligans, by catching and training a dragon. My mom and I started the book together but I thought it was so good I kept reading the book at night by myself. I liked the names the author used in the story, they were really funny. The story was interesting and I liked how caring Hiccup was. The illustrations were great because it looked like Hiccup drew them himself. It’s a really funny and a great family read. Liz, I have to read this! It looks so cute! I know Uncle Luis would love the movie....but I know I'll love this book. Thanks for the review Lizzy! I'm going to check it out at the library! O I loved that she liked it so much she went off on her own. Bravo! That is truly the mark of a good book. We read the book before the movie came out. We loved the book, but the movie is diffrent than the book, but the movie is still very good and it will be in my collection once it comes out on video! Miss Ya Liz!